From the Author's PrefaceThe objective of this book is to provide a thorough and systematic study of the problem of laminated composites containing stress concentrations. Stress concentrations are introduced in laminated plates in the forms of circular holes, elliptical openings and straight cracks. These forms of cutouts have many practical applications, and are familiar to most engineers. Stress concentrations exist in all known structural components. Stress concentrations have great practical importance because they are normally the cause of failure. In addition to stress analyses of laminated composites, we need more fundamental understanding of the failure mode, the failure criterion, the effects on global laminate response, and the design of composites in the presence of stress concentrations. 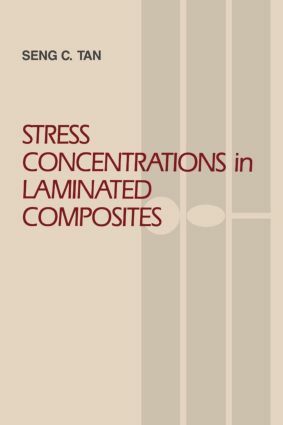 In this book, all the subjects studied are closely related to the problem of stress concentrations in laminated composites . . . . All the models are verified with many experimental results. The underlying objective of this comprehensive study is to give the readers an in-depth and thorough understanding of the problem of stress concentrations in composites. This book is the first to address the problem of laminated composites containing stress concentrations in a systematic way. Each chapter ends with a Discussion and Conclusion section and a References section.